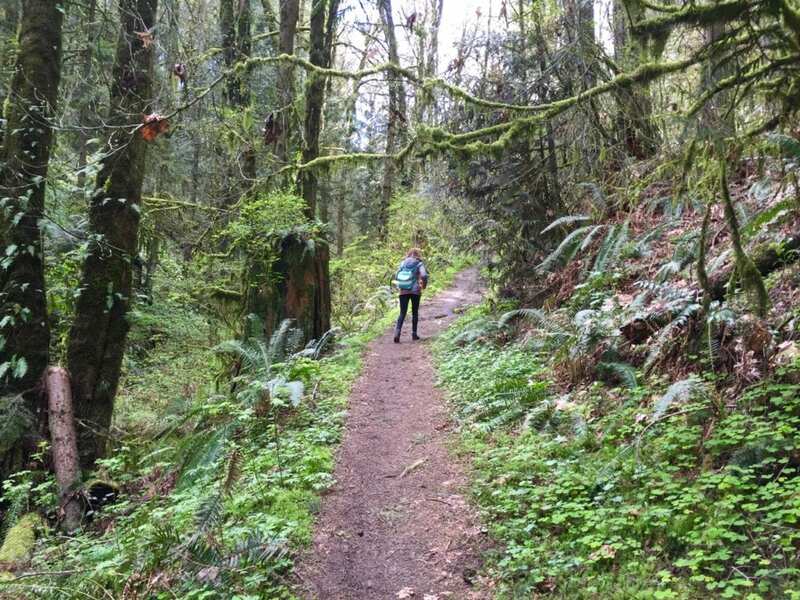 Families who want to spend their days hiking Oregon’s diverse and devastatingly beautiful landscapes can find trails to suit their skill and fitness levels. 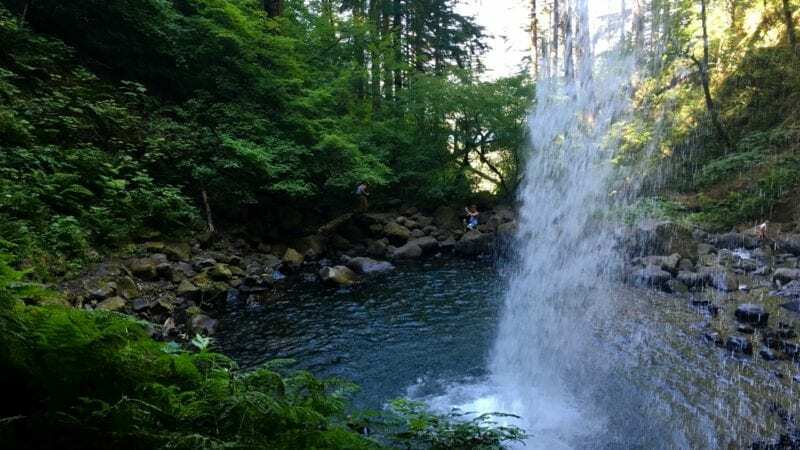 The best part about a hiking vacation in this Pacific Northwest state is that you can enjoy most of its mountains, lakes, rivers and forest trails for free! 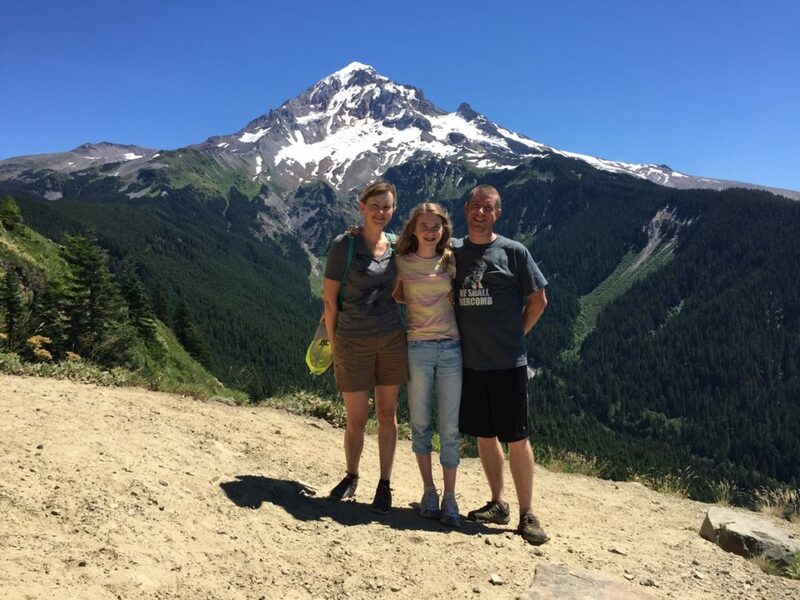 Our family spent our recent vacation hiking through some of the most incredible vistas that Oregon has to offer. 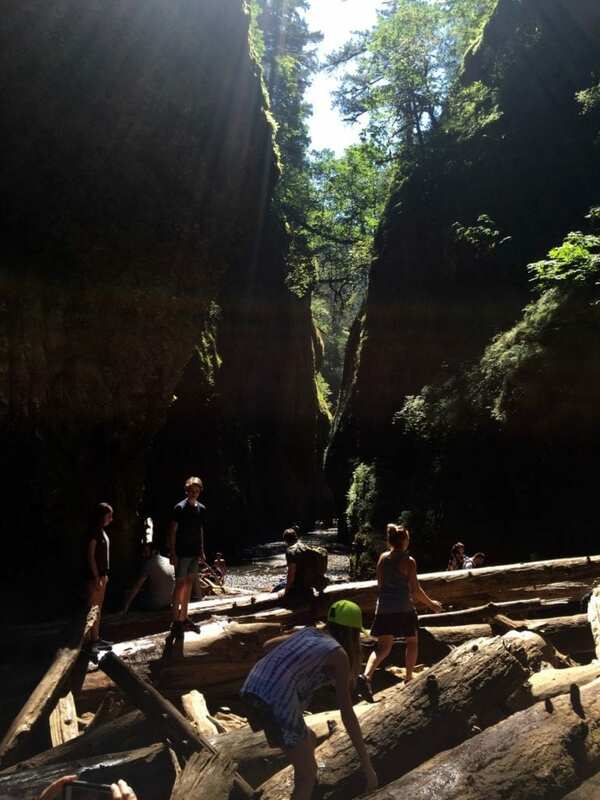 Portland is one of those rare cities where you can hike for hours within the city limits. Forest Park, located just west of downtown, is the largest urban forest reserve in the country. It’s eight miles long (the island of Manhattan is 13.4) and includes 5,100 acres of land with more than 70 miles of trails to explore. All of these hiking trails and only a 10 minute drive from our hotel in the Pearl District. There are many hiking trail difficulty levels but most of them are suitable for all ages. We started at the Ridge Trail after parking in the lot near NW Germantown Road, just over the historic St. John’s Bridge. Be sure to lock all your belongings in your trunk. We were driving a Nissan Altima, so we had lots of trunk space for all our gear. The Columbia River Gorge is a canyon of the Columbia River that stretches over 80 miles dividing Oregon from the State of Washington. 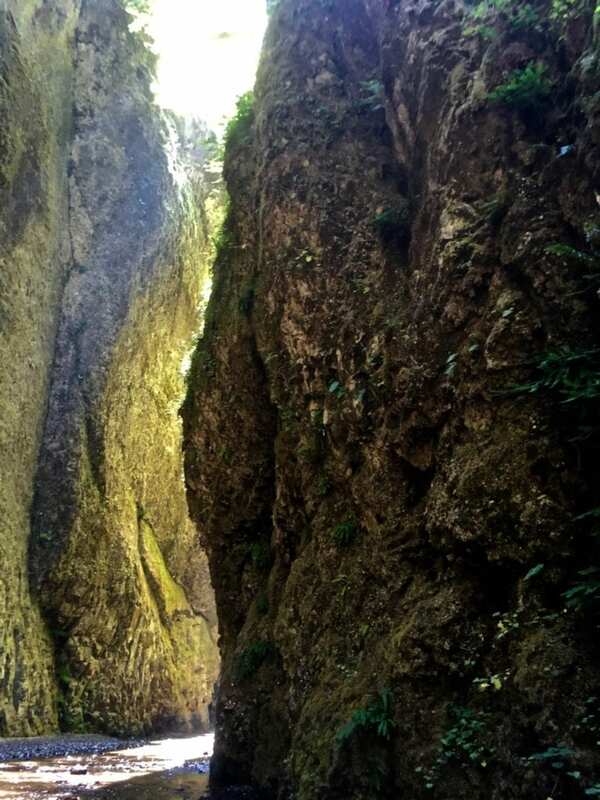 It is fascinating to think that for thousands of years Native Americans used the Gorge as a transportation corridor. In 1805, the Lewis and Clark expedition also made their way along the Gorge to the Pacific Ocean. 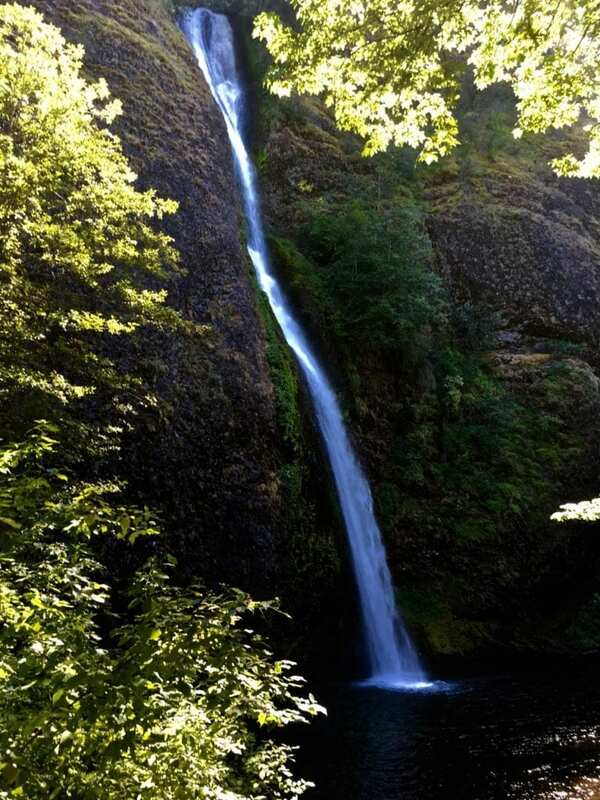 What makes the Gorge particularly special is the high concentration of waterfalls, with more than 90 on the Oregon side alone. 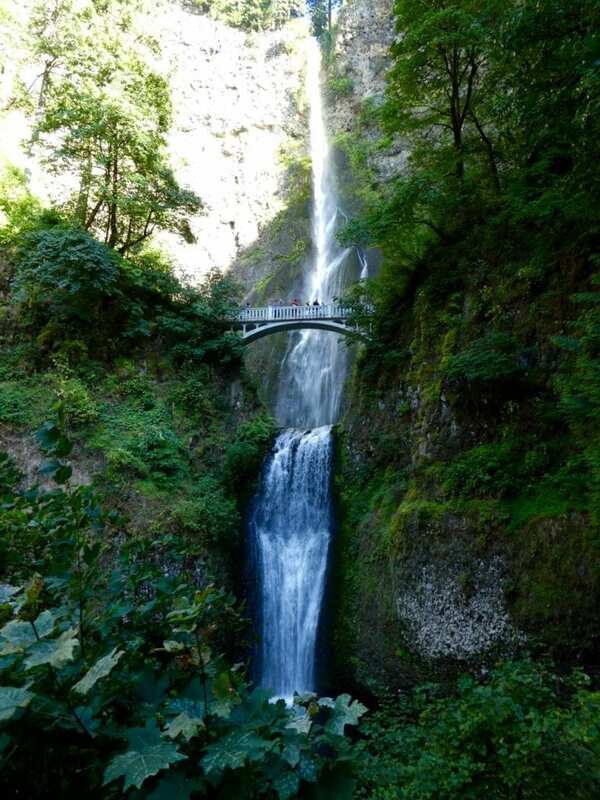 Less than 45 minutes from Portland, many of the hikes in this area are short and some of the falls can be seen from the roadway, which explains the year-round tourists. We decided to hike to the Lower Oneonta Falls because it is reputed to be the most beautiful. It has an element of adventure because the entire hike is through water. You are going to get very wet during this hike! Named after Oneonta, New York, the hike to the falls is a short 60 minutes round trip. We saw all ages accomplish this hike but it can be particularly dangerous for small children, dogs and seniors who are not fit. Your first obstacle will be to traverse the infamous log jam, which is just that, a pile of potentially unstable logs. We did see one woman slip and fall through the logs but luckily she was not seriously injured. After successfully maneuvering this barrier you have a lovely walk until you reach the second hurdle, where the water rises. Although it is different throughout the year, in the month of July the water was chest deep and still very cold. We raised our packs in the air and proceeded slowly across the slippery rocks. Finally, you get to the reward, the Oneonta Falls. Remember to wear water shoes, preferably ones with a closed toe since there are many sharp rocks and logs to scrape your feet. Also, make sure your devices are secured in a zip lock bag in case your pack gets wet. 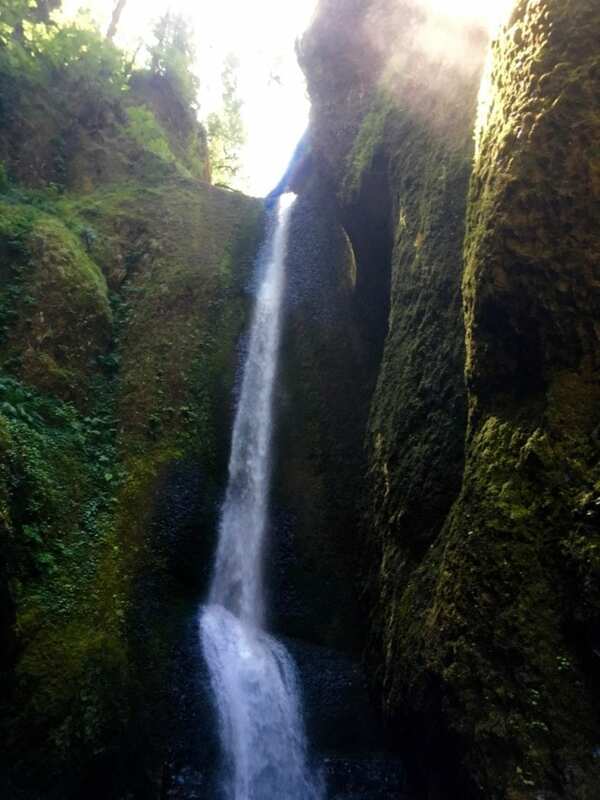 We also completed several smaller hikes along the Gorge including Multnomah Falls, Ponytail Falls and Bridal Veil Falls. 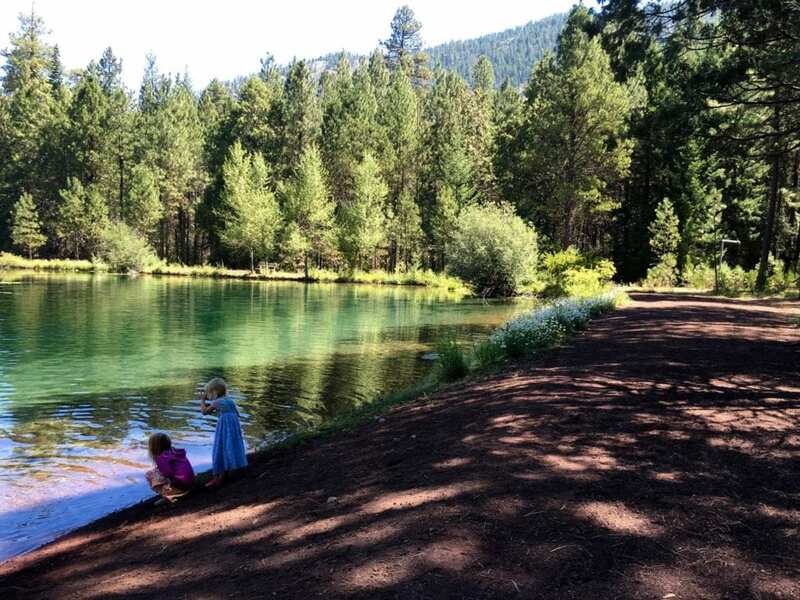 National forests run straight through central Oregon so hiking is limitless. Our journey brought us from the Willamette Valley through the Willamette National Forest toward the town of Sisters. 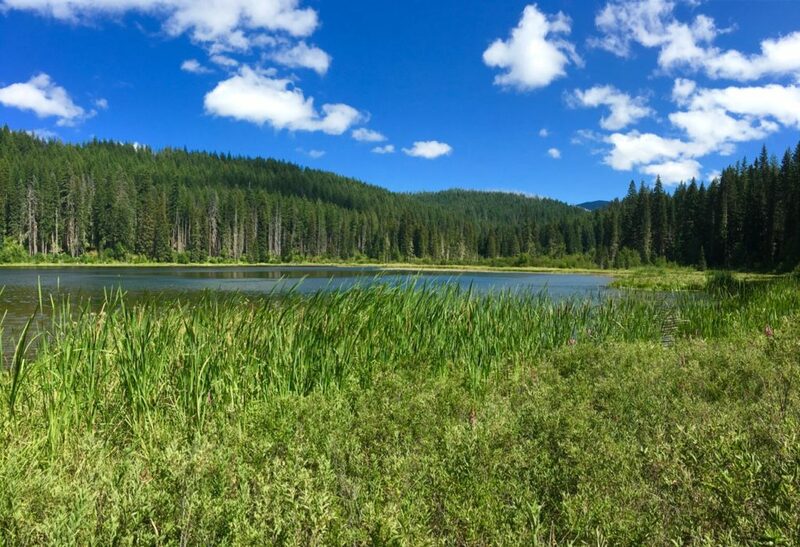 On the way to Sisters, we stopped for a two hour moderate hike to Marion Lake near Detroit, Oregon. Starting at the Marion Lake Trail head, we made our way past the small picturesque Lake Ann, through forest and over rocks to reach Marion Lake. 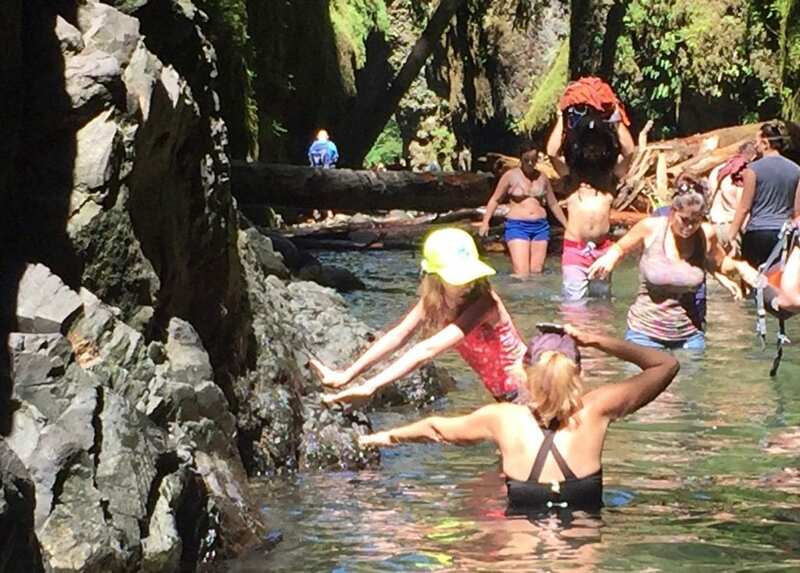 This hike was most suitable for tweens and teens because there is some steep and rocky terrain. This is a low trafficked trail and blissfully peaceful, if you can ever get your tween to stop talking! Some of the parks have a day use fee. The cost is $5 per vehicle. It can be paid with cash or a check. They use the honor system: cash goes in an envelope then in the lock box. Be sure to put the proof of payment on your dashboard. You will also see Self-Issue Wilderness Permit stations. 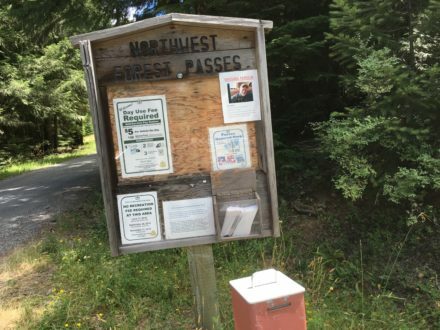 Be sure to fill these out because they assist in the search and rescue operations for lost hikers and help the parks keep track of visitor use. We saw a couple of posters of lost hikers during our trip, so getting lost is a reality. 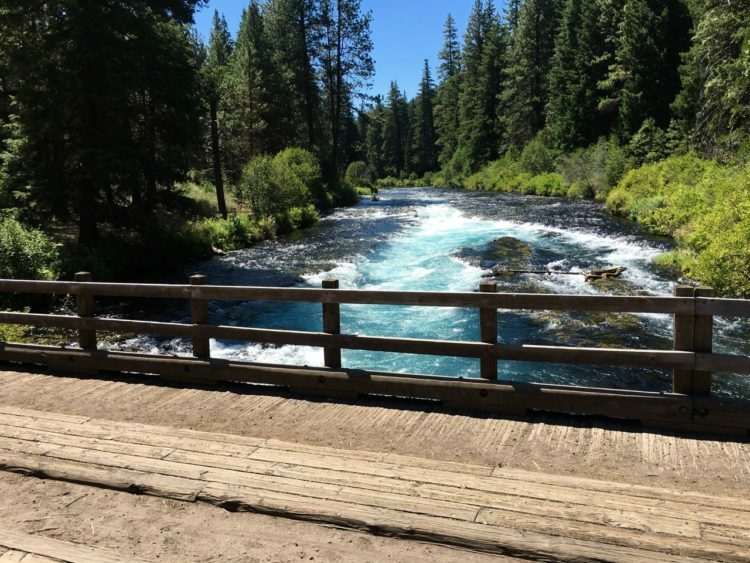 While visiting the Sisters area, we hiked the Metolius River Trail. An easy 6.5 mile hike, we started at the Wizard Falls Fish Hatchery. If you’ve never been to a fish hatchery, I’d recommend taking a tour before you start your hike. 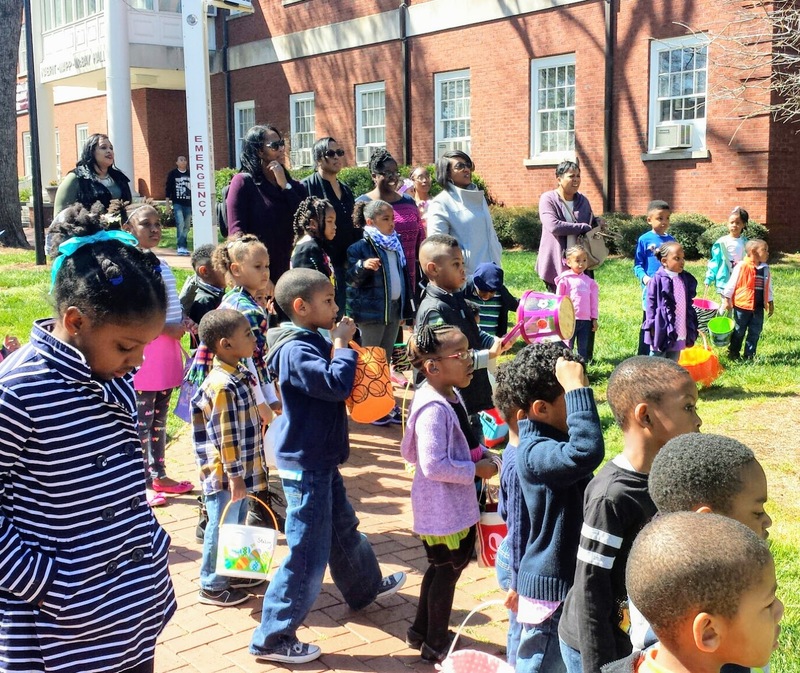 Kids love to feed the fish and the whole process is interesting. There are also restrooms and water fountains available here. For thousands of years, Native Americans hiked these river trails that were once naturally filled with salmon and trout. 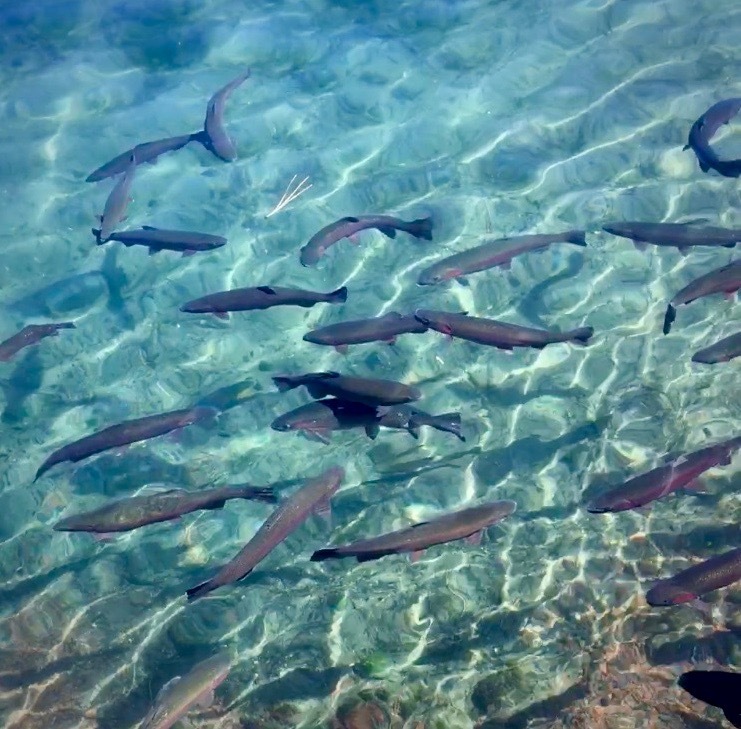 The river still hosts rainbow, brook and bull trout so many fly fishermen are along the trail. 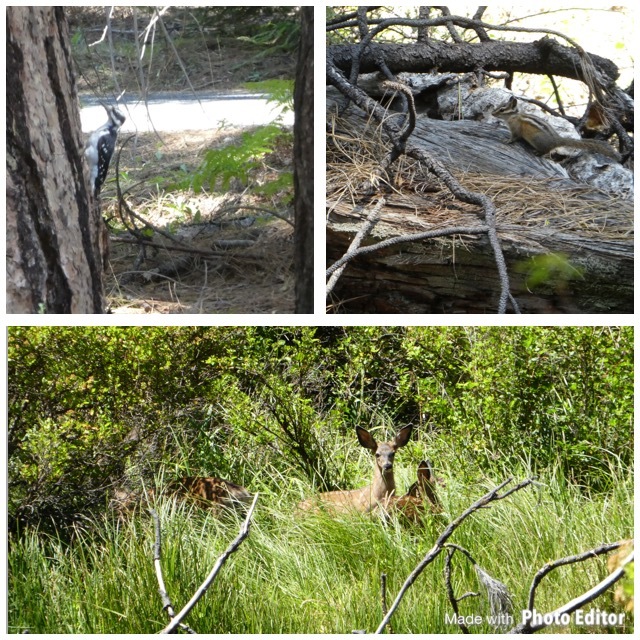 This hike was our favorite because of its combination of riverside and forest settings. It was long enough at 6.5 miles to be great exercise but had no hilly or rocky terrain. It was peaceful, which was probably why we saw the a lot of wildlife. Our biggest disappointment was that we did not get to hike the McKenzie River Trail and visit Tamolich Falls and Blue Pool. Blue Pool is a place where the river bubbles up from the ground in a crystal clear, blue colored pool that is spectacular in photographs. Much to our chagrin, this trail was closed because of forest fires, a sad reality in the Pacific Northwest. 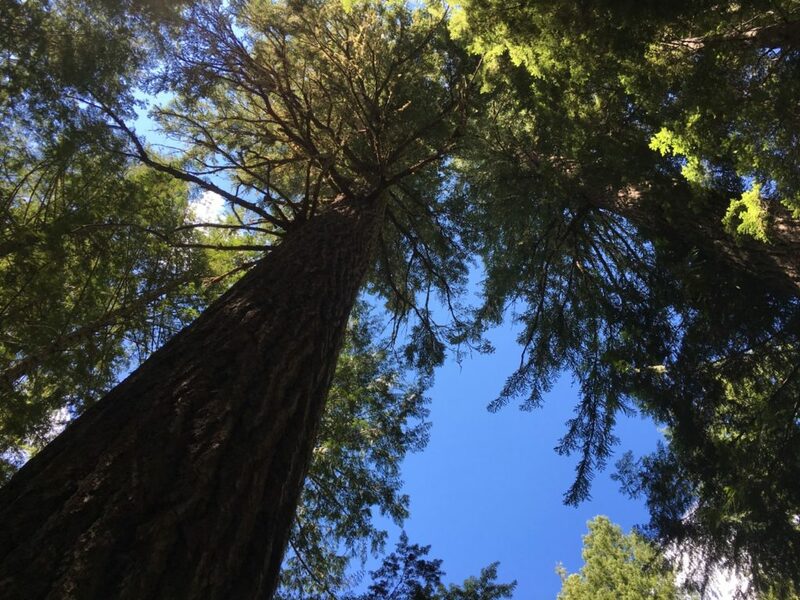 If you’ve seen the film, Wild starring Reese Witherspoon you know that The Pacific Crest National Scenic Trail (PCT) runs from southern California at the Mexican border through to Canada. The film is based on a memoir written by Cheryl Strayed, who, with little experience, hiked the entire 2, 650 mile PCT alone. As you can imagine, adventure ensued. Of course our novice hiking family did not attempt this feat. It takes the average thru-hiker from four to six months to complete. Even if the entire PCT is not on your bucket list, it doesn’t mean you can’t experience some if it. 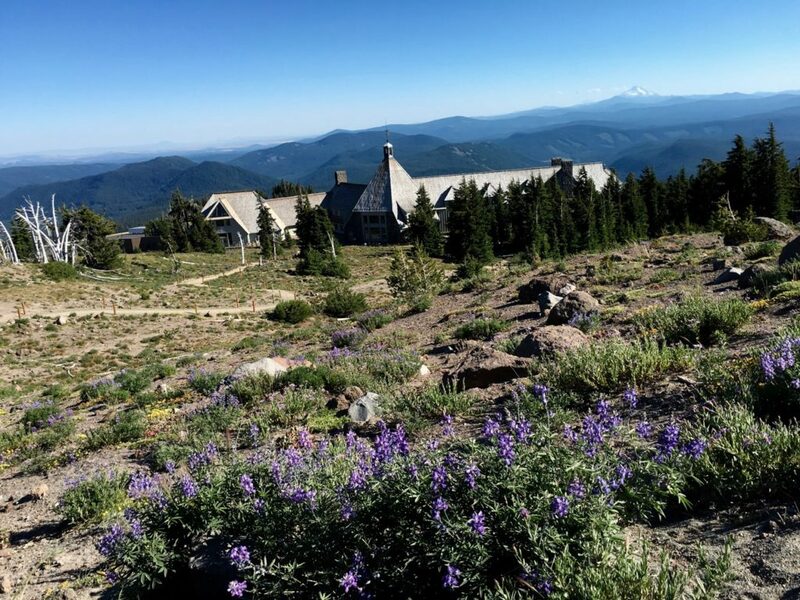 We got a taste while staying at the historic Timberline Lodge in the Mount Hood National Forest. The trail goes right by the lodge and many hikers stop for a few hours or even the night. 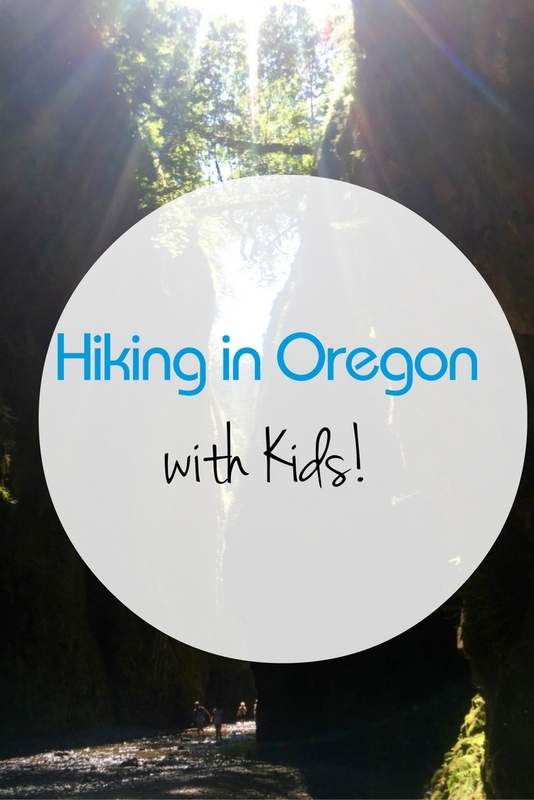 We did not attempt overnight hiking on this trip but that is definitely on our bucket list because there is so much more of Oregon that we’d like to explore. For maps and reviews of trails, we found AllTrails.com to be a useful resource. Next Post: Salamanca, Spain will capture your heart!